As you all probably know, it is more likely for a woman my age (46 when I had my daughter Lyra) to have a baby with Down syndrome than it is for those of you in your twenties or thirties. But because more women are having babies in their twenties and thirties than in their forties, most children with Down syndrome are born to you younger mamas (even now as more women in their forties are having babies than ever before). This explains why I have so many Facebook friends who are ten, fifteen, twenty or more years younger than me. We are all mothers of little ones with Down syndrome. You younger mamas inspire me. In the two years since my daughter Lyra was born, many of you have created non-profits with valiant missions: to educate medical professionals about Down syndrome, to support families who have children with Down syndrome, to reach out and help families with medically fragile children both with and without Down syndrome. But mostly you mamas ask questions of each other, using this tool of your generation, the Internet, to find support and guidance as we all navigate the stages and attendant issues of raising children with Down syndrome. Your passion for your children reverberates in your posts and pictures. Any one of you would bare-knuckle your way up weather-worn peaks or ford valley rivers rushing with spring snow melts to find what your children need and implement what you’ve determined makes sense for them and your families. 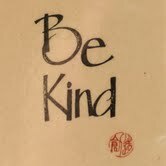 You also get mad, furious sometimes, when someone says something that seems, if not hurtful, then downright tone deaf. And, yet, time and again, you calmly respond to comments and questions that I know upset you. You give accurate information but, more importantly, you share your stories and the stories of your children. And in these exchanges, as much as it may sound like hyperbole, you are changing the world for our children. I, as a mother of a child with Down syndrome, am guilty of saying the very things that so upset you and I offer you not an excuse, but an explanation. You are right, language is very important. I raised all of my children to know that there are police officers, fire fighters and mail carriers even though I did not grow up in an environment that was thoughtful about much of anything, let alone language. As a young woman, particularly after I finally enrolled in college at age 21, I recognized the subtle, yet potent, harm caused by sexist language and eschewed it from my own speech. In my twenties, I caught on quickly. All people, regardless of gender, race, religious beliefs, sexual orientation, national origin or age, should be treated as the full human beings they are and given equal opportunities to participate in society. That they are not has motivated most, if not all, of my political activism for nearly 30 years. Yet a fool I may well be because until I was 46 and held my infant daughter, I had not considered language as it relates to Down syndrome. It had to be directly pointed out to me. The first or second time I met with our local support group, I recall stopping myself as I said to the coordinator “Down syndrome child.” I apologized and she graciously told me not to worry. People-first language, i.e. a person who has Down syndrome as opposed to a Down syndrome person, is so easy to understand. However, this took a few weeks for me to consistently remember and apply a simple turn of a phrase that identified my daughter as a person, not her condition. Lyra was probably three months old before I had habituated people-first language in my speech. A few months after Lyra was born I wrote the essay, “Learning About Lyra,” describing how we learned of her diagnosis only after she was born. I reread my essay a few months ago and realized I had used the word “healthy” in opposition to a Down syndrome diagnosis. Lyra, thankfully, is one of the most robustly healthy babies I know. To confuse a diagnosis of Down syndrome with poor health is incorrect. But books and articles concerning pregnancy and childbirth still make that mistake. You young mamas recently rallied a national parenting magazine to remove language from an article that referred to expectant mothers “wishing for a healthy baby but maybe having one with Down syndrome.” Lyra taught me, simply by being the baby in our house, that the word “healthy” used in opposition to Down syndrome makes no sense, which is why I removed it from my essay. But because the essays in Whoopsie Piggle are about our journey, I did not remove from that essay my covert wish in the first days of Lyra’s life that she test positive for mosaic Down syndrome because of the possibility of “milder symptoms.” It’s a simple phrase that most people wouldn’t notice, but one I would not use today because, again, it connotes illness. I might instead state that my desire for mosaic Downs was implanted by the hope that, in the wide range of abilities children with Down syndrome have, my child would have the highest level of abilities possible. Part of that was my very real grief at the diagnosis, a grief most parents go through only to discover the child they have is perfect because he or she is a real child who is as lovable and as frustrating as any other child. “Milder symptoms” is a legacy of the terms “mildly retarded” or “severely retarded” and, as harsh as those words sound in our ears today, they were once widely used phrases, certainly as I was growing up and, notably, in much of my adulthood. Consider, for example, that until 1992, The Arc, one of the oldest American organizations supporting parents of children with Down syndrome as well as the children themselves, had the word “retarded” as part of its name. Their website has a thoughtful explanation of how their name changed over time and why it no longer includes the word “retarded.” Closer to home, it was just five years ago, in October of 2009, that the State of Ohio and all its counties were required to remove the word “mental retardation” from any governmental agency or board. Around the City of Akron, billboards went up stating that Summit County MRDD was becoming Summit County DD. That was just five years ago. If you are 25 years old, five years is pretty much all of your adult life. But at nearly 50 years old, well, things that happened five years ago seem on par with things that happened last month, it’s all so recent. I cannot recall when I no longer thought it was acceptable to refer to a person with Down syndrome as “retarded,” and assume it was after my dad and stepmom began working in a group home in the 1980s. But it wasn’t until a few months after Lyra’s birth, while listening to a performance by comedian Rob Snow at an event for new parents of children with Down syndrome, that I understood that the word “retarded” is an unacceptable pejorative in any sentence. Again, once pointed out, I absolutely agreed. However, as embarrassing as it is, I have since caught myself on two occasions saying “retarded,” once referring to a cash register where I work and the second time referring to myself when talking with, of all people, Lyra’s occupational therapist. When I did, I immediately slapped my hand over my mouth in horror as though I’d just burped up a vile part of myself. Please, understand, young mamas, rewiring brain pathways is a process, especially the older and more calcified the brain. Yes, I believe everyone needs to recognize the hurtfulness of this and other derogatory words and make every effort to change and all of us can do so—it’s just that some of us have to unlearn habits that younger folks thankfully never learned. So back to those people who use inappropriate words to talk about Down syndrome or your child. If they are asking questions with earnest curiosity, please continue to listen to the heartfelt intentions over the deeply flawed words. For those of us over forty, few of us had positive opportunities to know people with Down syndrome when we were growing up. If we ask a sincere question with clumsy or even hurtful words, gently point out to us how other words are more precise and not hurtful. Sometimes all you need to do is listen. More recently this same woman told me, “When I was in college, I worked with these young women who were retarded, they didn’t have Down syndrome, but they were, you know,” and she paused, not knowing how else to describe the condition these women had, before awkwardly saying, “retarded.” She was in tears recalling how these women had been treated. I told her the women were what we now call developmentally disabled, and she said, “Oh! Okay, developmentally disabled.” Our friend does not tell me these stories in order for me to correct her language, she tells me because in knowing and loving Lyra, she sees how unfairly people were treated whom she knew decades ago. And that she bore witness to their treatment and did nothing about it is cringingly painful to her, even though her complacency was based upon her understanding at the time. She did not know what she knows now. Motivated by a compassionate curiosity to discuss Down syndrome using the only language she had known, our conversations have changed the words she uses just as knowing Lyra has changed her understanding of Down syndrome. The hardest comment to respond to is, in my opinion, They are all so sweet, these children with Down syndrome. This monolithic categorization is a stereotype that denies the full range of human emotions, as well as the expression of those emotions, in people with Down syndrome. 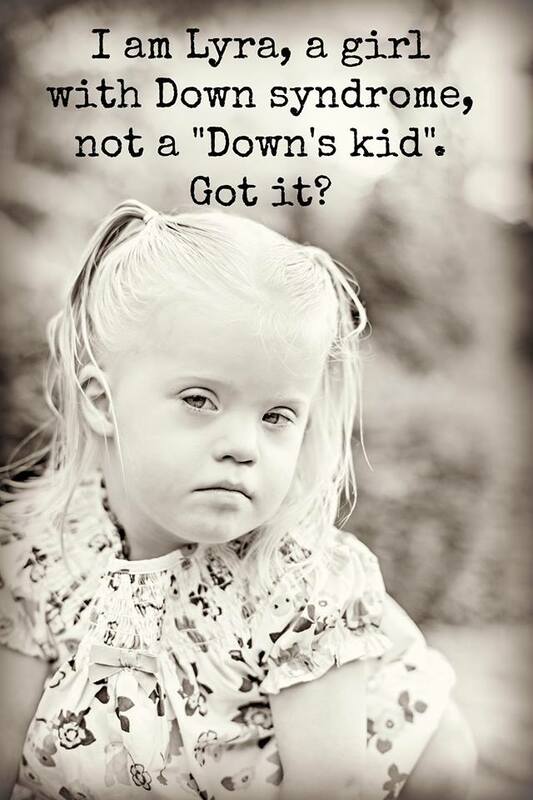 And while it is statistically true that higher percentages of people with Down syndrome claim being happier with their lives than the typical population, calling them “all so sweet” is simply a stereotype. What happens when someone does not behave in accordance with the stereotype they have been labelled by the dominant members of society? In January of 2013, three sheriff’s deputies in Maryland brutally murdered 26-year-old Ethan Saylor over a movie ticket when he did not behave like a “sweet man with Down syndrome.” But now I am just preaching to the choir. You mamas know this story, and too many others like it. It is our shared fear that one day this and other widely held misconceptions of what it means to have Down syndrome will cause our children to suffer and possibly irrevocable harm. NPR’s Ted Radio Hour had an installment on stereotypes in which the last two pieces, while both about racial stereotypes, could just as easily have been about Down syndrome stereotypes. Jamilla Lysicott compares complimenting a black person for being articulate to complementing an elderly person for being lucid. I can easily imagine a person with Down syndrome being “complimented” for being both articulate and lucid. Paul Bloom digs into the history, the science even, of stereotypes. We know, he says, not to ask a toddler for directions or an elderly person to help us move heavy furniture. Those are both stereotypes that are usefully accurate as they have been developed over the entire span of human existence. Not so with racial stereotypes, which are far more recent in human history (until a few thousand years ago, people stayed put with their own kind), and wildly inaccurate. The solution to breaking down harmful stereotypes? Not surprisingly, it’s meeting individuals from the group being stereotyped. Thank you, Mamas, I am continually grateful to walk on this journey with all of you. This entry was posted in Lyra's Latests, Uncategorized and tagged Down syndrome is not an illness, Down syndrome stereotypes, Ethan Saylor, people-first language, Richard Dawkins, Stop using the word "retarded", subtle discrimination of the developmentally disabled, The Arc. Bookmark the permalink. Thank you so much for your honesty!! It takes courage, as does educating people. 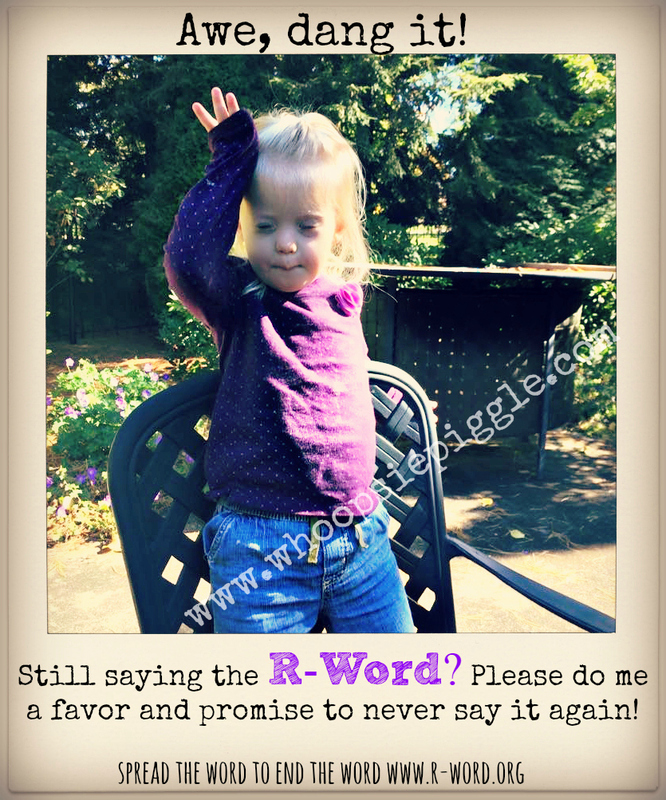 I stayed silent while my sister-in-law used the r-word, not having the courage to say anything. Finally just this year, when she was using it in reference to herself, I said, “you need to take that word out of your vocabulary, especially when you have a nephew with Down syndrome.” She was gracious about it, and I hope it was enough to make her think about not using the word in the future. And you are right too, the fear of the future that our children might be misunderstood. It happens too often, so we will all just have to keep educating the world. You are doing a beautiful job of it. Your comment made me teary, thank you for such a thoughtful response. I was a tad anxious about posting this particular essay and outing myself for the work it takes to scrub those hard-wired words clean out of my brain long after I’ve given up the preconceptions. I think this is one of your best columns ever; of course addressing something I can identify with, having grown up in the 60’s hearing and using terminology and stereotypes that would make me cringe now. Hard-wired words seem to linger in the brain longer than the preconceptions themselves.